  ADV Products  ADV Bike Accessories  Which is the Best SPOT GPS Messenger Device for You?  Helping you understand the differences between the various models. Deciding you need a SPOT is easy. Deciding which SPOT to buy is not. You have no doubt heard about the SPOT GPS messenger or seen one of the devices attached to the shoulder of other riders. If you are deep in the back country and you get in trouble, a SPOT allows you to alert local Search and Rescue with the touch of a button. You can also send messages to family and friends letting them know you are safe, along with your current location. The SPOT uses satellites to communicate, so it works in most areas around the world as long as you have a clear line-of-site to the sky. If you ride into remote areas, then you have probably thought about buying a SPOT before. Making up your mind to buy a SPOT GPS is an easy decision, the hard part begins when you try to decipher the differences between the various SPOT models. 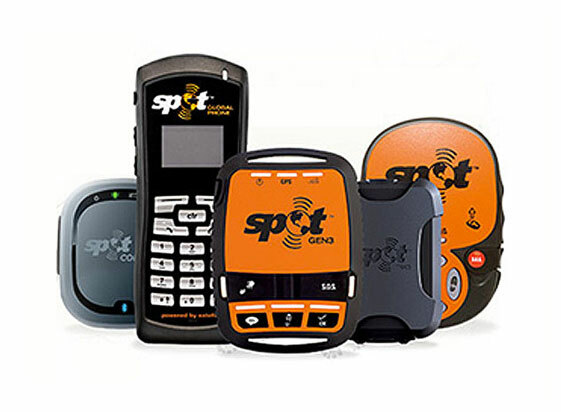 SPOT makes several devices, each with their own specialized purpose. But the differences are not always apparent to first time SPOT buyers. In this article we break down the differences between the three available SPOT messaging devices and clarify the unique features each offers. Hopefully, you will get a better understanding of which SPOT device is best for your needs. SOS Alerts: Alert the local Search and Rescue that you are in trouble and provide your current location. 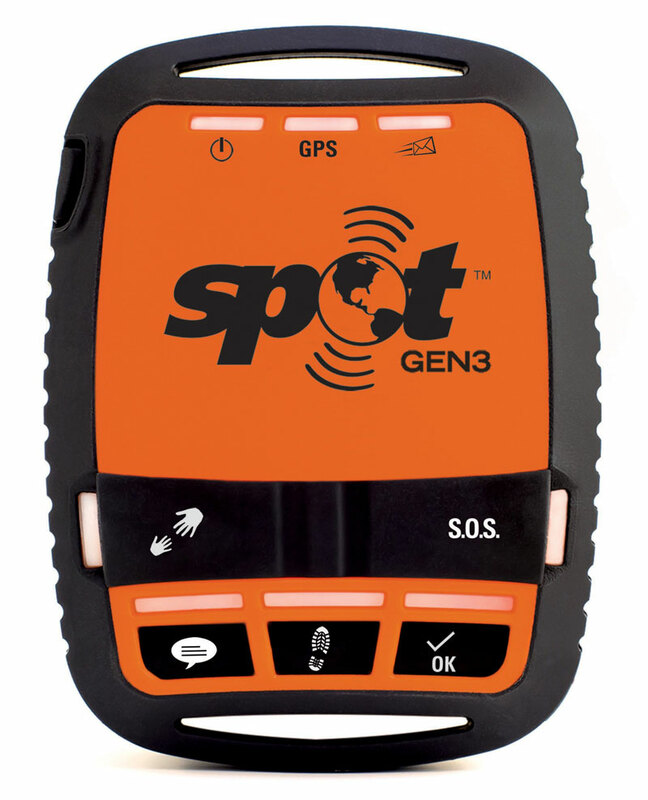 SPOT uses the private Globalstar satellite network to contact local Search and Rescue nearly anywhere in the world. 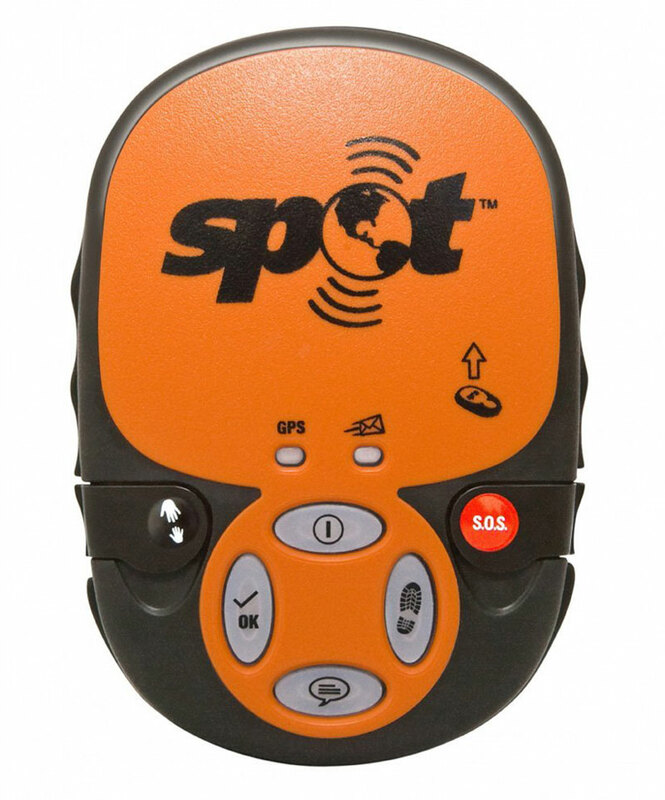 Check out the SPOT Rescue Map to see all the places around the world SPOT devices have saved people. Pre-Set Messages: You can send messages to friends and family and provide them with your current location. Messages need to be created on the SPOT website before you leave on your trip. With pre-set messages you can let people know you are “OK” or that you need help. You can also let people know when you arrive at a meeting spot, so they will know where to find you. You will also need to set up predefined contacts (email and SMS phone numbers) over the Internet, prior to leaving on your trip. Keep in mind that the SPOT messengers available are only able to send messages, not receive them. Help Assist: This add-on service ($30 per yr.) allows you to get Roadside Assistance in remote areas where you don’t have cell coverage. Service is available in all 50 US States, Puerto Rico and Canada. Type & Send: This feature allows you to send custom messages to Search & Rescue, Roadside Assistance or friends and family using your SmartPhone. No need to rely on pre-set messages you created before your trip began. With Type & Send, you can send custom messages that provide detailed information about your current situation. You can also choose the recipients of your message on the fly while you are out in the field. However, all recipients must be entered through the SPOT website before you leave on your trip. Location Tracking: If you are in an accident, you may loose consciousness and become unable to send an SOS message manually. You could also fall in an area that doesn’t have line-of-site communication with satellites. For maximum safety, you can allow your loved ones to continuously track your location during a trip. The location tracking feature allows you to start or stop the tracking with the push of a button. If you don’t show up at an expected rendezvous, rescuers can look at your tracking map to see your last recorded position. This feature can also be used to share your trip progress on a blog or social media. The Spot GPS Messenger (Gen2) is simple to use and cost effective. Capabilities: This is the least expensive SPOT device and allows you to sign up for the cheaper basic service plan. You can send SOS alerts, pre-set messages to friends and family as part of the basic service plan. The Help Assist roadside assistance service is additional cost. Basic location tracking can also be added to plot your location every 10 minutes for up to 24 hrs. Limitations: The tracking service requires you to reset tracking every 24 hrs if you want continuous tracking. No SmartPhone integration or custom messaging capabilities. Understanding how to read the different indicator lights and their meaning can be a bit tricky at first. You must send to a predefined list of recipients when sending messages to friends and family. You will need to setup your messages and recipients on the SPOT website, before you leave on your trip. Who is the SPOT GPS Messenger (Gen2) for? This SPOT version is best for someone that wants the basic SPOT features at the lowest price point. You can get this device without purchasing the location tracking add-on if you don’t need that feature. Choose this device if you are looking for simple, no hassle operation. The newest SPOT provides enhanced tracking capabilities. Capabilities: The newest SPOT device has the same basic functionality as the Gen2, but includes enhanced features. The primary difference is in the tracking capability. The Gen3 device includes basic tracking in the basic service plan. You can add-on enhanced tracking services that let you configure the tracking send frequency to 2.5, 5, 10, 30 or 60 minutes. Enhanced tracking will continue tracking until you turn it off manually (basic tracking resets every 24 hours). The Gen3 SPOT is able to sense if you have not moved for some time and will save battery life by sending your position only after you begin moving again. Unique to the GEN3 is the option to power it by a USB cable instead of batteries. This allows you to wire it to your motorcycle so there is no concern about dead batteries. If you prefer to keep the device on your body, you’ll know that you rely on your bike’s power supply if your batteries run out. Limitations: No SmartPhone integration or custom messaging capabilities. Understanding how to read the different indicator lights and their meaning can be a bit tricky at first. You must send to a predefined list of recipients when sending messages to friends and family. You will need to setup your messages and recipients on the SPOT website, before you leave on your trip. You can’t remove the location tracking from the basic service plan, so the minimum service plan will cost more than the other models. Who is the SPOT Gen3 for? This SPOT version is for someone that is primarily interested in the advanced location tracking features. Choose this device if you need precise tracking to keep others informed of your whereabouts. You are forced to pay for the basic tracking service with this device, so if location tracking is not important to you then you should choose either the Gen2 or Connect. SPOT Connect allows you to send custom messages and select recipients on-the-fly. 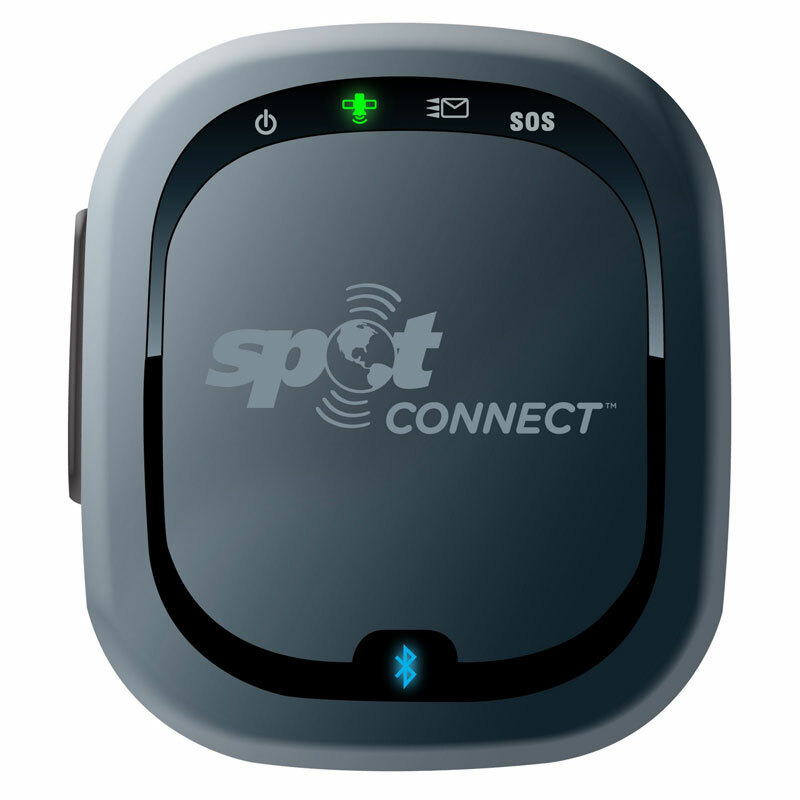 Capabilities: The Connect version of the SPOT includes the same functionality as the SPOT Gen2 (SOS, Messaging, Help Assist, Location Tracking), but extends its capabilities by connecting the device to your Smartphone app. With the basic service plan, you can send 14 different predefined messages and select from a list of different recipients on-the-fly. The Smartphone app also provides a more user friendly interface for sending your messages than the buttons and indicator lights on the Gen2/3 models. The connect has the unique ability to send custom messages with the Type & Send feature that neither the Gen2 or Gen3 are capable of. 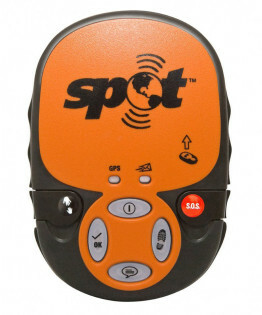 The SPOT Connect can send SOS messages with the Smartphone app or with a button. So if you need help, you are not dependent on your phone to send an SOS message. Using the app, you can send custom SOS messages with additional information about your emergency situation. Limitations: Custom messages use more data, so there is an additional charge for sending each Type & Send message. The device is also dependent on a Smartphone to send messages to family and friends or when using the Help Assist service. Pairing your phone to the device can be troublesome and dependency on a second device may be a hassle for some. Who is the SPOT Connect For? If you want to be able to send a custom message with specific instructions about your situation, then the SPOT connect is the only choice. Imagine the value of being able to specify a spare part you need or the nature of an injury. If you are easily frustrated with technology and don’t want to hassle with an extra device, then the Gen2 or Gen3 are better options. none of the above, the better device is a DeLorme InReach SE that actually can receive messages back so you know somebody got the message and is coming for you. Hi currently have the Spot Connect. I would highly recommend not getting this device for those who are not tech friendly. I had lots of trouble with this device in the back country. The main reason I bought this device was to allow my kids to track me when I was on long hiking treks. What I didn’t realize was that I had to pair my phone with Spot Connect every 24 hours and hit the track icon in the app on my phone. Needless to say mid trek, my phone battery died and I no longer was able to hit the track icon. If I could switch this device with a Gen3, I would in a heartbeat!!! !